I have always loved anything pickled. I’m a vinegar, lemon, general citrus addict and I love a bit of crunch on my plate. 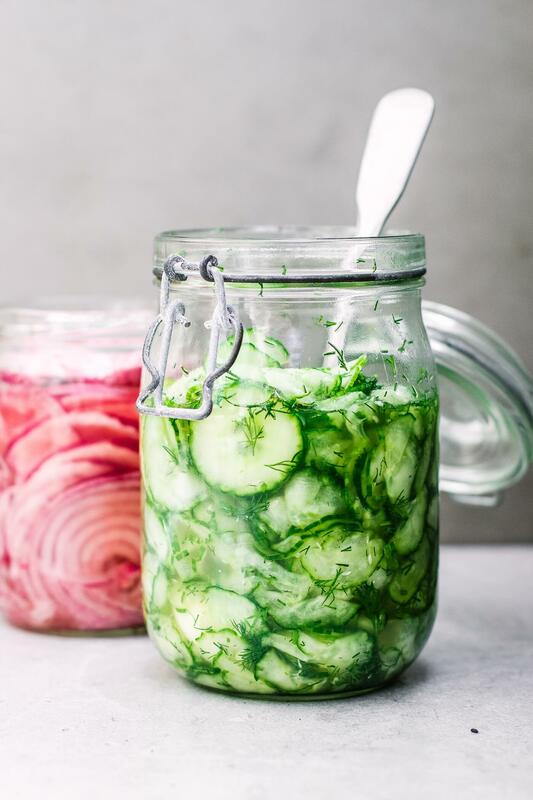 These dill pickled cucumbers go well with everything and are such a great thing to have in your fridge. Run a fork down all sides of the cucumbers, this will give it a scalloped pattern. Finely slice the cucumbers and add them to a colander in the sink. Scatter over the sea salt and toss it well. Leave it to sit for about 20 minutes. 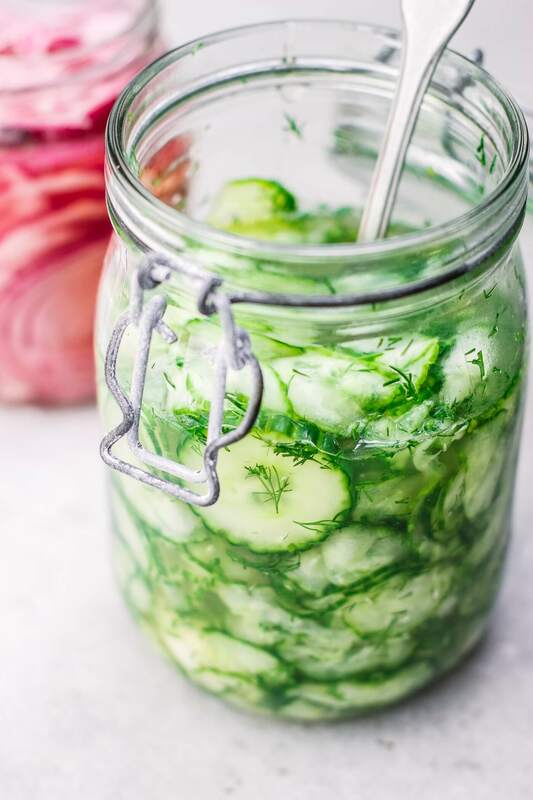 Finely chop the dill and it to a large jar with the vinegar, honey and whole garlic cloves and mix well to dissolve the honey. Rinse and drain the cucumbers, squeezing out the excess moisture. Add the cucumbers to the jar, press them down to make sure they are submerged in the water. They are ready to eat after about an hour but taste better after 24 hours. Store them in the fridge in an airtight jar for up to a week.